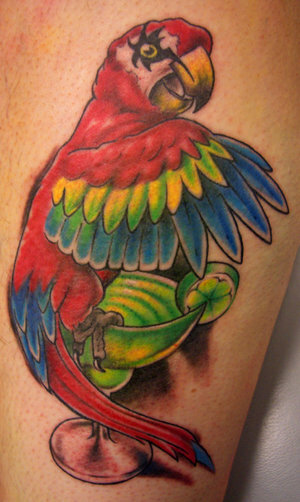 If you want to introduce a splash of colour into your lives, what better way to do so than by colourful bird tattoos? 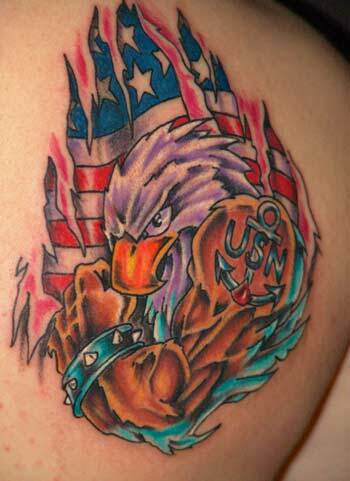 These have always been amongst the most popular of tattoo designs. After all, what more colourful creatures has nature given us than birds; and what creatures more rich in symbolic meaning? From the mythological Greek or Japanese phoenix to the modern American eagle, the history of tattooing can almost be traced through bird designs. And it is not very difficult to understand why. Throughout history, the entire world over, birds have represented the full spectrum of human emotions and every culture has its myths and legends concerning them. Bird imagery has long been part of the language of some cultures – from mother hens to old crows, chicks, doves, birds (and love birds), and these usually refer to women. Shakespeare drew heavily on the similarity between taming a wild bird and changing a shrewish woman into an ideal wife in one of his plays. 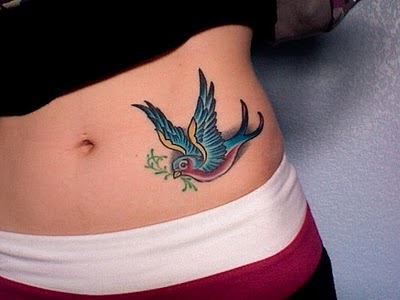 But bird tattoos have always been popular with both genders. Colourful bird tattoos such as Swallows, bluebirds and parrots have traditionally had nautical associations and were great favourites with sailors and the sea-faring life because they represented travel to exotic lands and safe return from sea voyages. Doves and lovebirds are particular favourites of women for their respective connotations of innocence or purity and fidelity, whilst the more amorous cockerel is frequently favoured by men for obvious reasons. Swans, geese and also swallows are symbols of love and faithfulness, because of their habit of mating for life. Because swallows also herald the coming of spring and all that is associated with it, they are also symbols of fertility and renewal. In mythology, they were associated with death and were a symbol of mourning for a mother who had lost her child. The mighty eagle, national emblem of the US, is strongly associated with American patriotism and signifies strength and independence of spirit. The owl has always been associated with wisdom and, because it is one of the rare night birds and a tenacious hunter, it has become linked to things supernatural – a confidante of wizards and a vital accessory to witchcraft and magic. These are just a very few of the cultural ideas and beliefs surrounding these lovely feathered creatures. Mankind has always held the strongest fascination for birds. We have all heard story of Icarus in Greek mythology and his quest to fly like the birds of the air. Indeed it is the wings of birds that have fuelled the human imagination since the dawn of man. 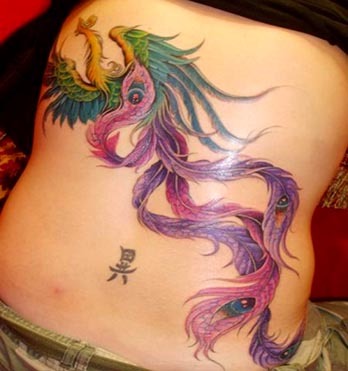 Why not, therefore, capture some of this magic and mysticism in a colourful tattoo? There is such an enormous range and variety to choose from that it will be impossible not to find an individual design to suit every taste and desired meaning, whether you want to represent your occupation or status, your love for another or simply give flight to your imagination, colourful bird tattoos have the most flexible design range in the wonderful world of tattoo art.